Cunningham Creek Elementary School | Building Leaders. Leaving A Legacy. Cunningham Creek Elementary School is a community of Caring Cardinals, committed to creating an atmosphere that encourages students to develop to their greatest potential. Through our commitment to Communicating, Caring and achieving Excellence, all Cardinals will soar with a passion for lifelong learning. 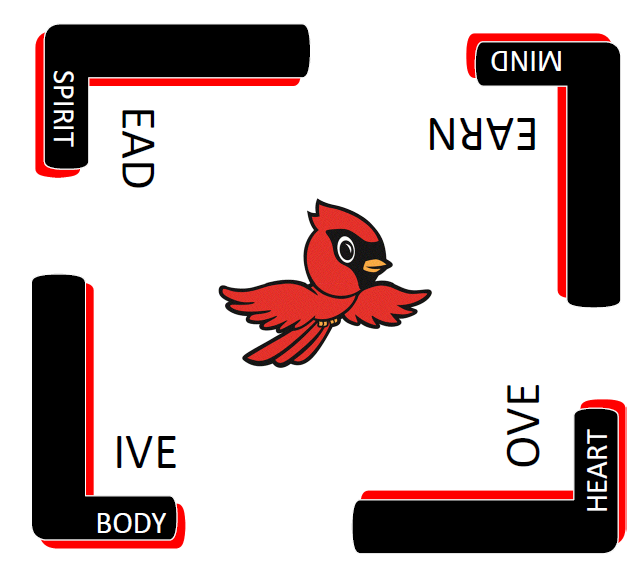 At Cunningham Creek, we will build strong bodies, hearts, minds, and spirits so we can live, love, learn, and lead. Interested in becoming a St. Johns County Bus Driver? If your child is absent from school, a parent/guardian must turn in a written/signed note within 48 hours for the absence to be considered excused. Emails and phone calls will not be accepted. We appreciate your support. Welcome back parents and visitors! A drivers license or State ID is required at all times on school property and when checking your student out. Please remember that ALL visitors and volunteers entering the school must be an approved volunteer through the county. If you have NOT made application, please go on line at http://www.stjohns.k12.fl.us/volunteer/ . Please do not reapply if you have already made an application in St. Johns County. Volunteers will automatically be updated in the system after 3 years. Please remember to allow 1-4 weeks for your application to process.